If you like fluffy pink things, rainbow dresses and girl power, Flossmoor’s newest business will bring a smile to your face. Love, Noa is a small boutique now open on Sterling Avenue, selling girls clothing and accessories. Owner Kelly Evans said she hopes it will offer visitors even more than that. is at 1044 Sterling Ave.
Evans opened Love, Noa on Sept. 7 after a build-out and stocking process in July and August. The store at 1042 Sterling Ave. debuted just in time for Flossmoor Fest, which brought many visitors into the new shop. With a fulltime job as a social worker, Evans said she also serves as chief of staff for Illinois State Sen. Toi Hutchinson (D-40th). She also runs her own media company, adding—and she might not be joking — that she sleeps for about 30 minutes per night. 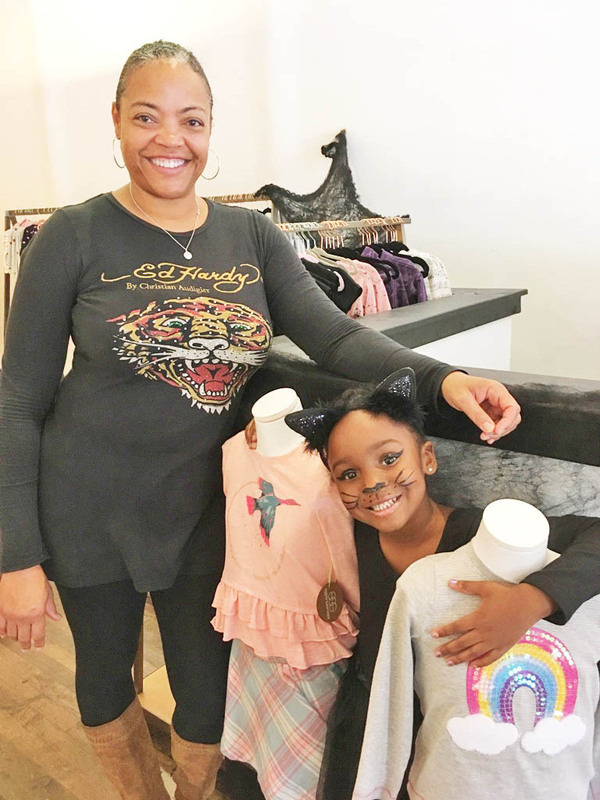 A few years ago, Evans, a 51-year-old Matteson resident, started an online business selling her daughter, Noa’s, clothes through the website Kidizen. As the business expanded, she decided to open a brick-and-mortar store. The online marketplace is crowded and didn’t provide the shopping experience she wanted to offer shoppers. All the items at Love, Noa are new and the shop currently carries sizes zero to six. Evans said she hopes to soon expand the store’s stock to include sizes up to 12. She sources clothing from visiting Chicago’s Merchandise Mart and attending industry trade shows. At first, Evans had a storefront space all lined up in Chicago’s Beverly neighborhood for her boutique. When she saw the space open up on Sterling Avenue, she jumped on it. Currently under construction in the back of the boutique is a spa area for girls, complete with pedicure bowls. Evans said she plans to bring in technicians such as cosmetologists and estheticians from Express Yourself Beauty and Wellness Salon next door to perform manicures, pedicures, facials and more. She may also participate in a product crossover with The Villager Card and Gift Shop in Homewood.